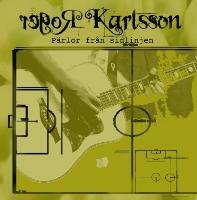 Roger Karlsson has released material also from “Inferno”, “Tuk tuk rally” and other items from his solo career. These albums, singles, EP:s can be bought from Beat Butchers. At the Beat Butcher site you can also find news and concert dates for Roger Karlsson.